The chauffeur was a really great tour guide as well, giving us history of the sites we were visiting, and also of Taiwan! Fully engaged with us and makes sure we get the most of our trip. Strongly recommended for 1-8 pax group!!! 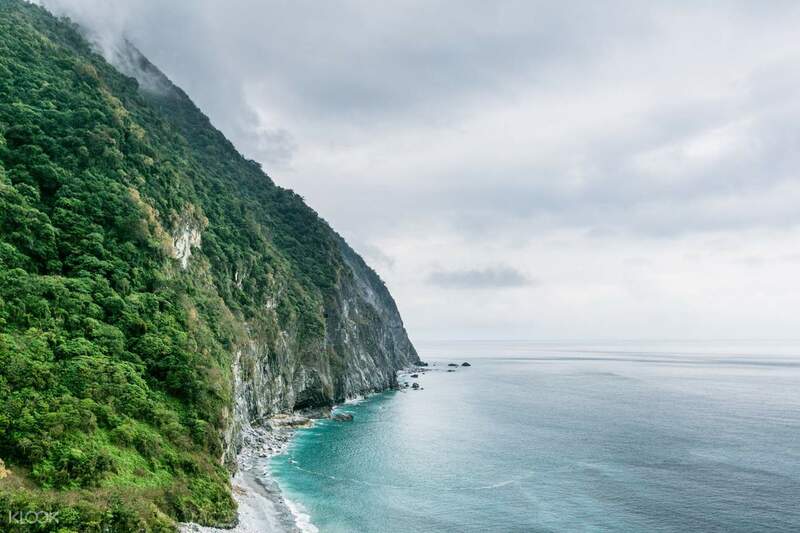 Discover the stunning east coast of Taiwan with a day tour to Hualien and Taroko Gorge, one of Taiwan's most scenic destination. On this tour, you'll witness a diverse range of nature and wildlife: travel from rugged coast, lucious forest and dramatic cliff faces. Witness the heart of the park at the Swallow Grotto Trail, interspersed with tunnels and the best viewpoint for overlooking the narrowest part of the gorge. Check out the Baiyang Trail - an easy adventure for participants of all ages. Take a dip into the Pacific Ocean when you visit the Seven Star Lake before heading back to the city. Very cheap and worth package. the driver is also the chinese guide for the tour. he will introduce and talk about some of the history and origins of the place we go. pickup location was easy and the driver is also very fexible as we were able to drop off at any place that is conveniently along the same path when going back to hua lien city. Very cheap and worth package. the driver is also the chinese guide for the tour. he will introduce and talk about some of the history and origins of the place we go. 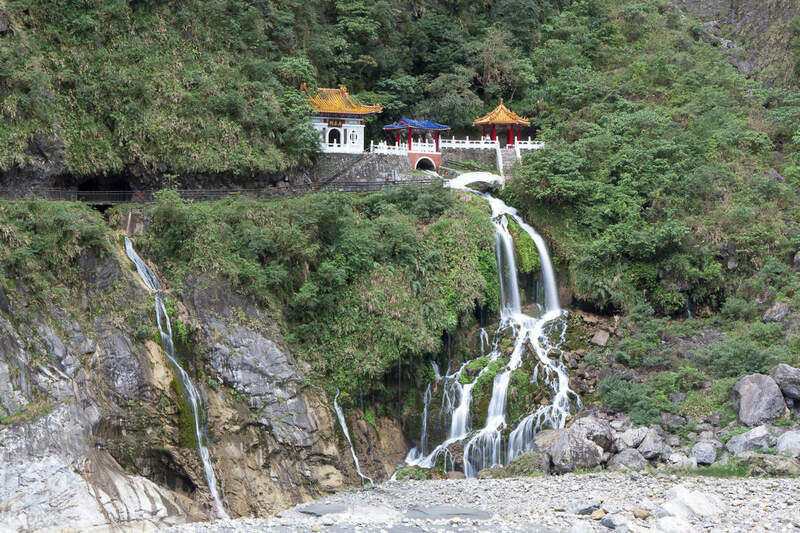 pickup location was easy and the driver is also very fexible as we were able to drop off at any place that is conveniently along the same path when going back to hua lien city. The chauffeur was a really great tour guide as well, giving us history of the sites we were visiting, and also of Taiwan! Fully engaged with us and makes sure we get the most of our trip. Strongly recommended for 1-8 pax group!!! The chauffeur was a really great tour guide as well, giving us history of the sites we were visiting, and also of Taiwan! Fully engaged with us and makes sure we get the most of our trip. Strongly recommended for 1-8 pax group!!! I was sceptical that the things one may get to do here will be very limited especially on a group tour but yes you need more than one day to cover this gorgeous place. This tour can help you orient what all one can do. This place is heaven. The tour guide may speak chinese but there are always someone who can understand things. Just understand the numbers. Mostly you are given 20 mins to 1 hr to go explore the place. You then should find a way to come back and so some trails by yourself. I was sceptical that the things one may get to do here will be very limited especially on a group tour but yes you need more than one day to cover this gorgeous place. This tour can help you orient what all one can do. This place is heaven. The tour guide may speak chinese but there are always someone who can understand things. Just understand the numbers. Mostly you are given 20 mins to 1 hr to go explore the place. You then should find a way to come back and so some trails by yourself. The driver was very helpful, informative and patient all along the tour. Besides, he do take a very good care to our safety along the journey and recommended alots of places to visit in hualien. Thank you for giving us a good experience! The driver was very helpful, informative and patient all along the tour. Besides, he do take a very good care to our safety along the journey and recommended alots of places to visit in hualien. Thank you for giving us a good experience! Wow! No regrets for picking this tour! My Chinese guide was so funny and informative! I love the way he talks. The itinerary was not rushed and we were given ample time to walk around. The beauty in all the places we went and our guide telling us about the history and culture before and after a trip was what I really appreciated. Thanks to Lin Shi Fu! (Apparently he’s also Show Lo (Luo Zhi Xiang 羅志祥)’s Uncle? — heard it from the other Chinese travellers who joined in the tour. The meeting place was easy to find. From the station just walk straight ahead. I used Google maps to help me save time and it was reliable. I reached the meeting point within 5 mins for first timer. The bus arrived punctually and the guide/driver will come with a piece of paper to ask which name was mine. I didn’t have to show the QR voucher from klook. Then the bus went to 2 other places to pick up others. Throughout the whole day, the guide will tell us about Hualien and about everything we need to know in Taiwan. He recommended us food to eat and to buy back home. For lunch, we were brought to a beef noodle shop and it was delicious and cheap! The tour ended around 430pm. And he sent all the passengers to other places (night markets etc) and me to WOW hostel (5pm) because he knew I had a train at 618pm to catch back to Taipei. Remember to let your guide/driver know what time is your train back to elsewhere if you weren’t intending to stay in hualien so that a separate transport could be arranged. Wow! No regrets for picking this tour! My Chinese guide was so funny and informative! I love the way he talks. The itinerary was not rushed and we were given ample time to walk around. The beauty in all the places we went and our guide telling us about the history and culture before and after a trip was what I really appreciated. Thanks to Lin Shi Fu! (Apparently he’s also Show Lo (Luo Zhi Xiang 羅志祥)’s Uncle? — heard it from the other Chinese travellers who joined in the tour. The meeting place was easy to find. From the station just walk straight ahead. I used Google maps to help me save time and it was reliable. I reached the meeting point within 5 mins for first timer. The bus arrived punctually and the guide/driver will come with a piece of paper to ask which name was mine. I didn’t have to show the QR voucher from klook. Then the bus went to 2 other places to pick up others. Throughout the whole day, the guide will tell us about Hualien and about everything we need to know in Taiwan. He recommended us food to eat and to buy back home. For lunch, we were brought to a beef noodle shop and it was delicious and cheap! The tour ended around 430pm. And he sent all the passengers to other places (night markets etc) and me to WOW hostel (5pm) because he knew I had a train at 618pm to catch back to Taipei. Remember to let your guide/driver know what time is your train back to elsewhere if you weren’t intending to stay in hualien so that a separate transport could be arranged. This is a small group day tour. The tour guide was nice and flexible. It was a good experience to join the tour. This is a small group day tour. The tour guide was nice and flexible. It was a good experience to join the tour. Our driver is very helpful and accommodating! Everyone in the bus for the group tour is very helpful and friendly even if they’re having a hard time communicating with us in English. 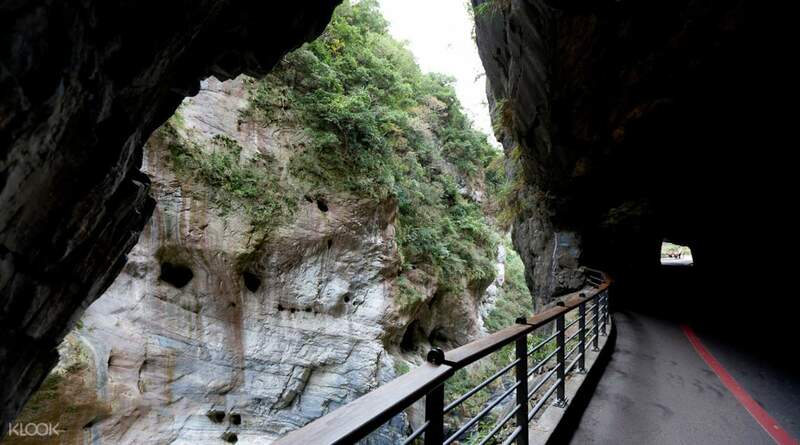 This tour will really make you see the natural beauty of Hualien! Our driver is very helpful and accommodating! Everyone in the bus for the group tour is very helpful and friendly even if they’re having a hard time communicating with us in English. 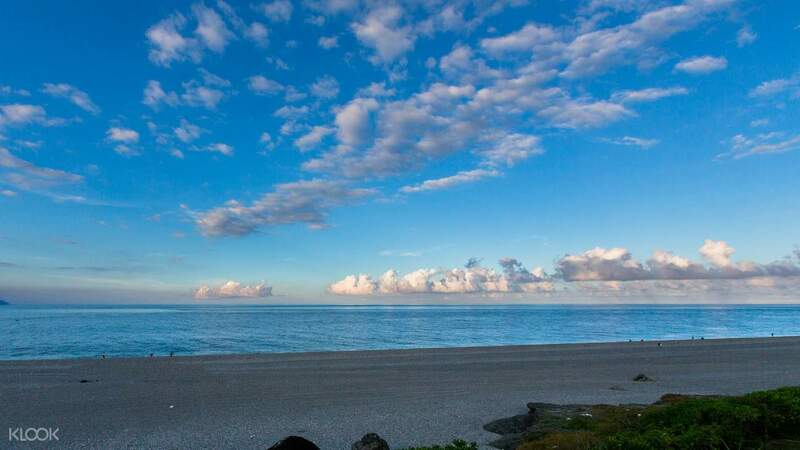 This tour will really make you see the natural beauty of Hualien! The driver/tour guide was friendly and entertaining through the journey. Lot of nice scenery. The driver/tour guide was friendly and entertaining through the journey. Lot of nice scenery.